Both kids started texting me a few minutes ago, which came as a surprise, since they’re not supposed to text while class is in session. In fact, class is not in session. Instead, the school is in lock-down. The rumor amongst the kids, all of whom are madly texting each other, is that there’s a kid with a gun roaming the school. They don’t actually know. What they know is that the police station is across the street, that when the lock-down started they were told it wasn’t a drill, and that there might have been a shot fired in a bathroom, but even that’s not certain. The latest rumor is that the police did confiscate a gun, and are sweeping the school. I’ll keep you posted. UPDATE: I know that, once we’re all home together, Mr. Bookworm will start ranting about the Second Amendment, and not in a good way. He simply cannot comprehend that the best deterrent would be the armed person’s knowledge that each teacher has a gun. I’m a whole lot more worried about deranged students than I am about a teacher with a concealed carry weapon suddenly going postal. That’s especially true at this school, where the teachers have the world’s cushiest teaching job: gorgeous environment, great pay and benefits, and no violent or otherwise awful students. UPDATE II: Lots of sirens in the distance, so I know that the police are still heading to the school, not away from it. UPDATE IV: The solidified rumor is that a kid — identity unknown — came to school intending to shoot one or more people, but something happened that tipped off the plan, leading to the lock-down and police presence. UPDATE V: The kids are more perturbed by the number of police showing up than they were about the original lock-down. Or at least, that’s the excuse my younger one is using to argue that he shouldn’t have to go to school tomorrow. I explained that, just as it’s probably pretty safe to fly after an airport or airline scare, because everyone is super vigilant, tomorrow should be a pretty safe day at school. UPDATE VI: The new rumor is that there was a large planned shooting and that the police are trying to get to the bottom of it. I don’t know. I see this as a rumor from my child who really, really would love to skip a day of school and is trying to spin the situation to his advantage. UPDATE VIII: And it’s over. They’ve been released from lock-down and school continues as usual. I can’t wait to see what the principal has to say about this in the email I know I’ll get soon. 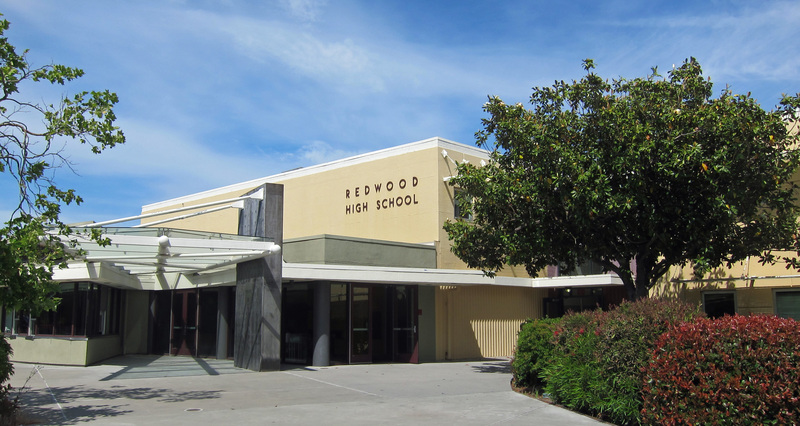 UPDATE VIII: One of my kids filled me in on the latest rumors: Apparently several Marin high schools, not just Redwood, went into lock-down. That report came about because kids were texting their friends at other high schools who also said they were on lock-down. There were also rumors that someone was shot, although that appears to be untrue. What definitely happened was that, as the lock-down continued, people started hyperventilating and otherwise having panic attacks. Now that the whole thing is over, Story One is that a kid was in the restroom trying to load a gun and dropped the bullets, giving the game away. Story Two is that a kid took out an insulin injector, someone saw it, thought it was a gun, and started the panic. It should be interesting to hear what really happened — or at least what the police and the school district are going to tell people really happened. UPDATE IX: Yet another rumor: It was a BB gun. We do live in a paranoid age, although a BB gun certainly can do damage. According to [Police Lieutenant Sean] Smith, the threat turned out to be a false alarm.